This story was near to my heart, because it's kind of the same experience I had with baseball, and specifically the Oakland A's, last year. To be fair, I didn't start following the A's because they were good, but my story is similar in that I did want to care about something. I wanted to follow a sport and really get into it, having followed football casually for the last two years or so. Anyway, this book is written in diary form, which is interesting because it gives it a sense of tremendous urgency, but causes it to lack introspection and meaning. Ward is a very entertaining writer, and the book is written in a very conversational manner which makes it accessible and easy to read, even for someone with basically no soccer knowledge, but through it all, I just felt like I wasn't getting much deep analysis. It seemed to me that he was just... happy sometimes, and sad sometimes. I felt the book needed to pull back from this one man's life and tell a more universal story. Ward talks for a long time about his friends, his clothes, his relationship with his wife, and other features of his middle-aged life, but it all seems so trivial. The deeper connections are never made. This may be the point of the book, but I didn't feel that the book was entertaining enough to not be able to pull it all together. I don't regret reading this book, but it disappointed me, because I was expecting more from a story that I already related to. A writer decides to buy season tickets to his local English soccer club, because he's going through a mid-life crisis, and he wants to be passionate about something. I enjoy soccer memoirs, but not this one. There were some choice comedic moments, but the author's voice doesn't work. It's introspective to a fault. He goes on odd tangents that have nothing to do with soccer. It's written like it was straight from his diary, without editing.I can't recommend this book. Unless you like free books on Amazon, then go nuts! United in earnest but Alex in heartFunny observational and shows the depths despair and delights of the lower league fan who adopted their local club above their childhood big name team. Being a Man Utd fan who has had a similar experience with Crewe Alexandra i know where you are coming from. Great read. Mike Ward does a solid job with this book. It chronicles his season following a lesser known football team. I enjoyed it quite a lot and laughed at some of the jokes. It was a good, light hearted read and I especially liked how he analyzed himself during his journey. 3 and a half stars. 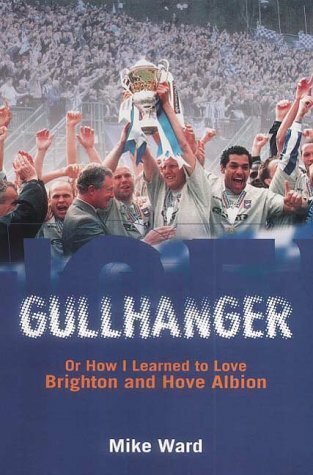 Nice easy read about a season following the local team, and how the author gets wrapped up in the whole expereince.